From private helicopter rides over the city to romantic cruises down the river, fine dining feasts to indulgent buffets, here are the best places to wow your date this Valentine’s. Head to this boutique hotel’s chic fourth-floor rooftop and you're greeted by a generous alfresco terrace where practically every table gets a stunning view of the river and Wat Arun. This year, Above Riva’s Valentine’s Day special (B2,345/couple) includes welcome cocktails, one rose, and a box of chocolates to enjoy while listening to a live violin performance. The a la carte menu is still available as usual, as well as various boozy selections from whiskey (B200-260) and beers (B180-320) to signature cocktails like the One More Please (vodka, fresh lime, strawberries, B275). 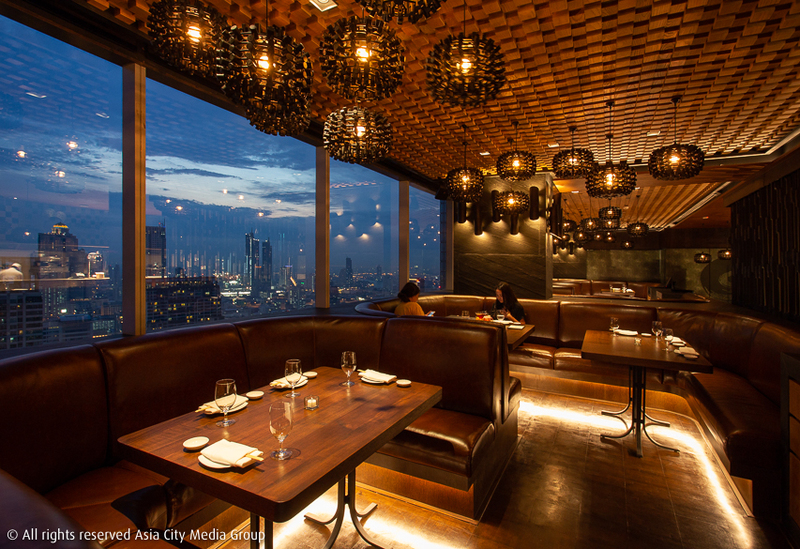 ABar, up on the 37th floor of Bangkok Marriott Marquis Queen’s Park is well known for drinks menu that’s above and beyond what you’ll get at a lot of other venues in town. It specializes in dark spirits, including whiskies from around the globe, dark rum and cognac. 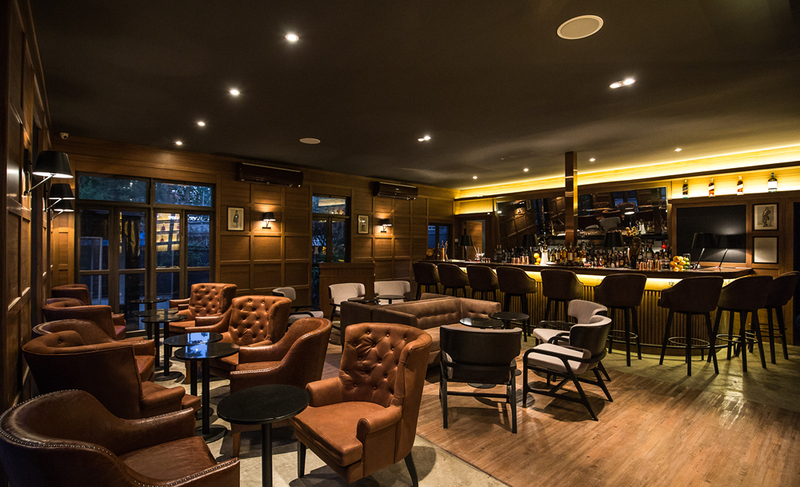 With classical dark wooden decor, wingback chairs and leather-bound books, this cool sophisticated cocktail bar blends the mystery and magic of Victorian London with the gritty edge of 1930s America. The venue’s Valentine’s Day promotions isn’t just for couples, either. Singles can join their V-Day party with a free-flow cocktail package (B1,400/person) from 6pm-10pm—only available on Valentine’s Day. 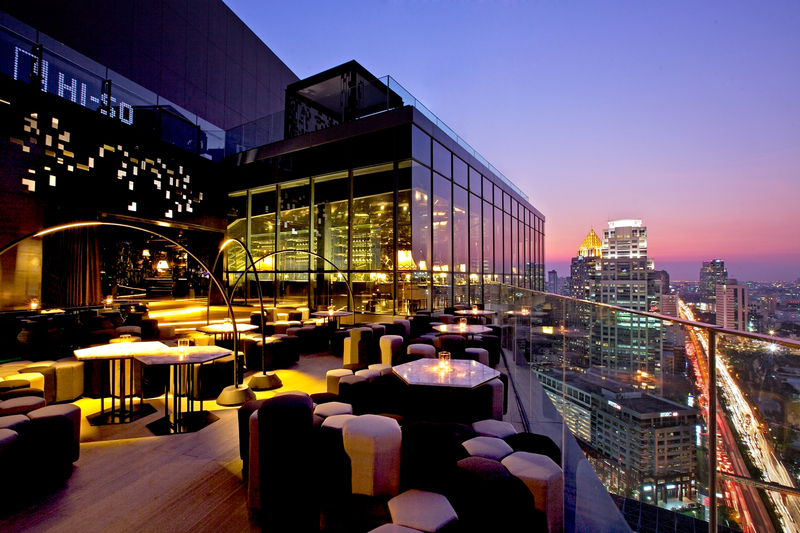 Located above Centara Grand at CentralWorld's long-established Red Sky rooftop venue, you access Cru from a little elevator that drops you right on top of the hotel, where you get full 360-degree views over Bangkok. The Valentine’s Day package will set you back at B9,999 for two people and a bottle of coveted G.H. Mumm Champagne Blanc de Blancs or Blanc de Noirs, and assorted snacks. If you need something a little more substantial, the Oysters on the Half Shell (B799) or Wagyu Short Rib “Rossini” Sliders (B675). This scrumptious four-course Provencal French dinner ticks all the boxes: romantic garden setting, jazz and a complimentary glass of bubbly. Dishes include pan-seared fois gras, Fine de Claire oysters and strawberry cheesecake. O.P. Garden, Charoenkrung Soi 36, 02-238-6400. Celebrate your Valentine’s day Portuguese-style with a four-course tasting menu created by chef-partner Amorim Nelson featuring Australian wagyu, foie gras, scallops and uni. 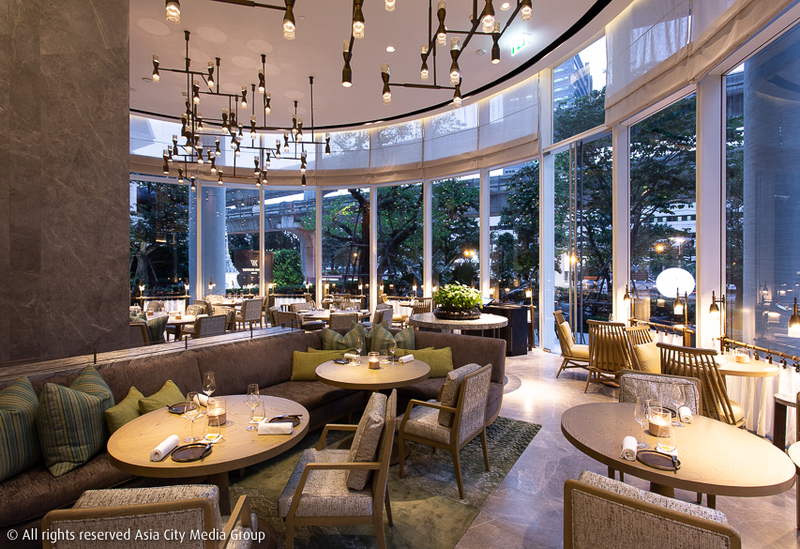 Tucked away in its own garden between Benjasiri Park and Emporium mall, this stylish restaurant will be laying on an exclusive five-course set dinner featuring oyster, quail, lobster and wagyu beef. 30/1 Sukhumvit Soi 24, 02-262-0700-1. A four-course Valentine's set menu featuring Australian wagyu tenderloin steak, foie gras, baked Canadian lobster, and an omakase sushi plate. The price also includes two welcome drinks and two glasses of sparkling wine, plus you’ll be leaving home with a complimentary set of skincare products for him and her—gift sorted! 39/F, Sathorn Square, Narathiwas Rd., 02-036-8899. Italian fine dining—now, that’s amore. So head to La Bottega to wow your date with a special a la carte Valentine’s menu that sees refined yet authentic plates like decadent homemade foie gras terrine, pasta with Brittany blue lobster, snow fish with smoked gnocchi, Australian wagyu beef tenderloin with seared foie gras, fresh Italian black truffle, topped off their lusciously sweet chocolate “lava” cake. 2/F, Terrace 49, Sukhumvit Soi 49, 02-204-1731. Riverside Terrace’s seafood buffet will be accompanied by traditional Thai performances, free-flow beer and soft drinks. Price: B4,999 per couple, or B5,999 with an additional bottle of sparkling wine. Trader Vic’s, meanwhile, will be hosting a Hawaiian-style feast with all-you-can-eat seafood and free-flow sparkling wine and cocktails. 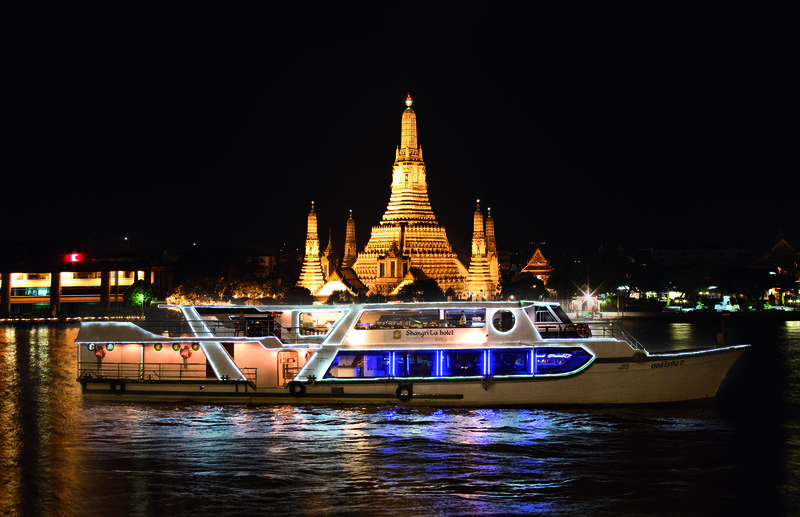 Manohra Cruise will take you on a romantic boat trip down the Chao Phraya with a romantic five-course menu and a bottle of sparkling wine included in the price. This three-course set menu comes with a seafood platter, scallops and foie gras, plus there’s a bottle of Moet rose Champagne included in the price, not to mention the prime riverside rooftop views. 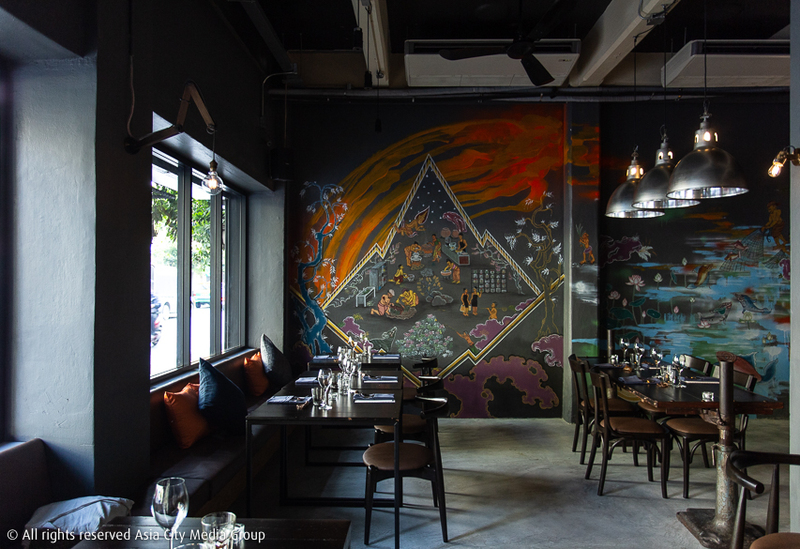 Avani Riverside, 257 Charoen Nakorn Rd., 02-431-9120. Price: B3,500 per person, plus B5,000 for wine pairing. Oasis Pool Bar on the hotel’s 37th-floor rooftop will host a very exclusive six-course set dinner for five couples only, including a bottle of rose Champagne. Espresso will keep it more casual with a dinner buffet featuring Canadian lobster, a carvery with roast wagyu prime rib, roast leg of lamb, and baked whole salmon with rock salt. Price: B2,519 per person, plus B699 for free-flow beer, cocktails and soft drinks/ plus B999 for free-flow sparkling wine/ plus B1,999 for free-flow Champagne. 973 Phloen Chit Rd., 02-656-0444. Head here for one-Michelin-starred French fine-dining led by chef Amerigo Sest, featuring dishes like truffled ostrich and white carrot parmentier. Price: B9,999 per couple with two glasses of Champagne. U Sathorn Bangkok, Sathorn Soi 1, 02-119-4899. 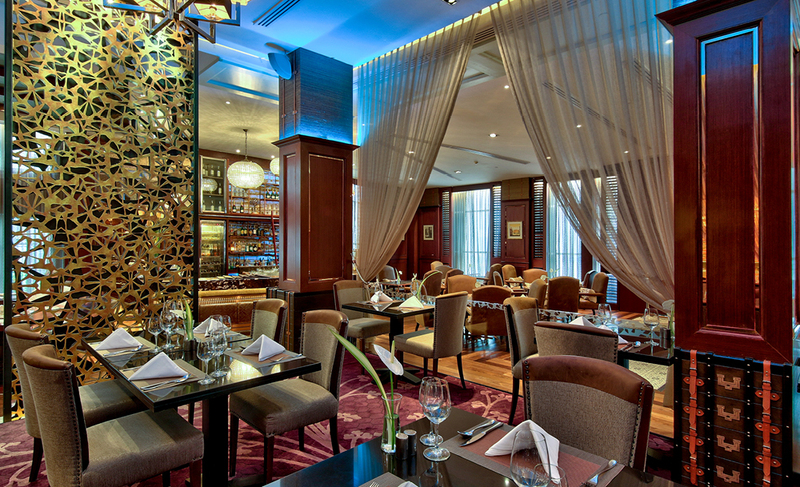 Get 15% discount on food only (except lunch and special menu by Chef Jean-Michel Lorrain). No one does romance quite like the French, so impress your date with this five-course set dinner highlighting French foie gras mousse, Norwegian salmon, roasted duck breast and pain d'epices toast, accompanied by live vocalists and pianists. Price: B3,850 per couple, plus B999 for wine-pairing. Jesters will host an exclusive nine-course dinner by Austrian executive chef Stefan Leitner, who will be cooking exquisite dishes like, foie gras praline with chocolate, Oscietra caviar and sea urchin bisque with king crab, accompanied by a bottle of Champagne. If you really want to impress, then book the pre-dinner private helicopter tour as part of Peninsula’s Valentine’s extravaganza. Price: B39,999 per couple, or B112,999 including a 15-minute private helicopter tour (limited to five couples only). 333 Charoen Nakorn Rd., 02-020-2888. At this stunning riverside boutique hotel, enjoy a five-course “Romantic Dining by the River” menu at Praya Dining restaurant featuring rare, traditional Thai dishes, including some from the Ayutthaya era. Price: B1,800 per person or B2,119 per couple, including soft drinks. 757/1 Somdej Prakinklao Soi 2, 02-883-2998. Spice things up with Punjab Grill’s “Love at first bite” six-course Valentine’s menu that includes unlimited sparkling wine. Expect flavorful plates like chargrilled lobster on lemon rice with coconut sauce, and smoked salmon topped with caviar. With a discounted meat-free menu option, this is a winning choice for veggie dates. 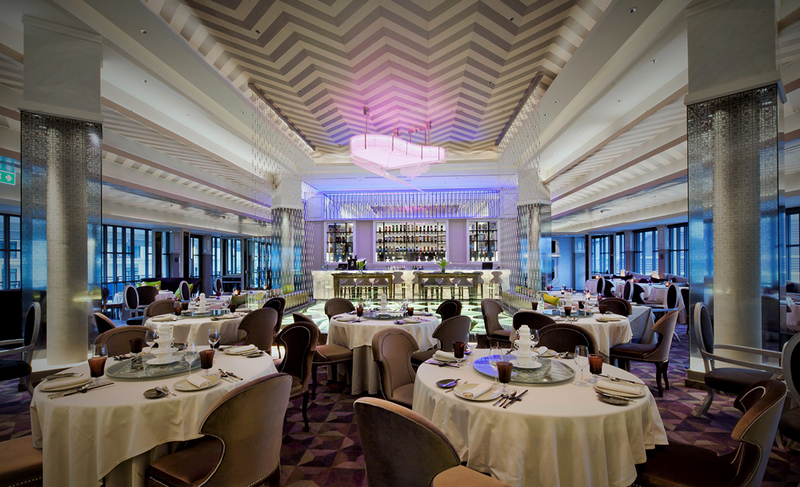 Price: B1,999 per person including free-flow sparkling wine, or B1,499 for vegetarian menu. Radisson Suites, 23/2-3 Sukhumvit Soi 13, 02-645-4952. Elements will serve a six-course dinner with sky-high views, featuring their signature Japanese-inflected French cuisine, including a glass of Champagne. Price: B4,900 per person with a included. Up & Above Restaurant will lay on a buffet line of roast racks of lamb, sushi and sashimi, grilled seafood and pan-fried foie gras, accompanied by live music. Horizon Cruise offers an international buffet dinner accompanied by a live acoustic band, all while cruising along the Chao Phraya River. Price: B3,200 per person, including a glass of sparkling wine. Salathip offers an authentic Thai set menu as well as a la carte choices from its riverside pavilion restaurant. Volti specializes in a la carte Italian classics on the riverside, with live jazz performances and a great wine selection. 89 Soi Wat Suan Plu, 02-236-7777. 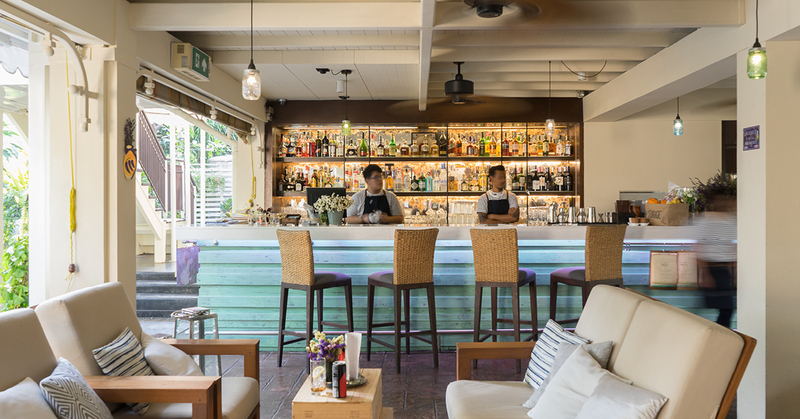 Hi-So is the go-to for seafood lovers, where you can enjoy platters of oysters, lobster, scallops and more with views over Lumphini Park from your private cabana. Price: B3,950 per couple including a bottle of Moët & Chandon. Park Society will bust out a six-course menu in its trendy setting, with optional wine pairing. Price: B3,600 per person, plus B2,300 for wine pairing. 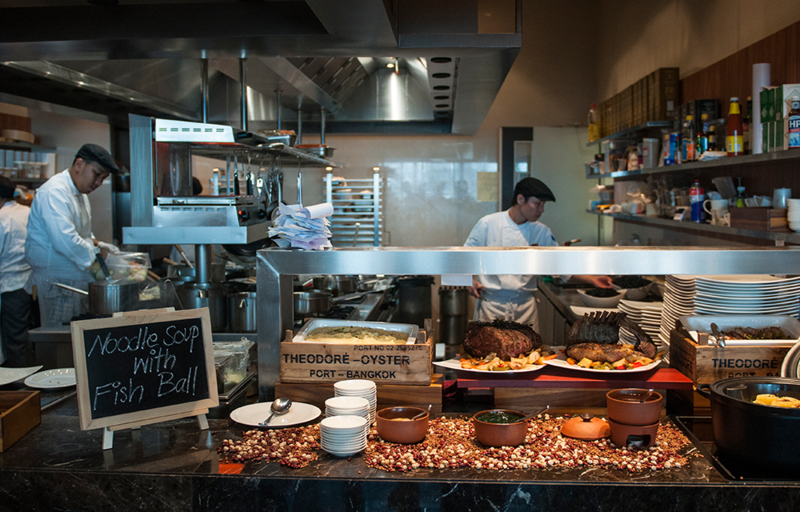 Red Oven will offer a high-end buffet featuring foie gras, caviar, lobster and steak. Price: B1,800 per person, or B2,500 including free-flow beverages. 29/F, Sofitel So Bangkok, 2 Sathorn Rd., 02-624-0000. Front Room will delight daters with a special nine-course, fine dining menu of Nordic-inspired Thai plates, with a glass of Champagne included in the price. Price: B5,500 per person, plus an additional B2,500 for wine-pairing. Bull & Bear steakhouse will host a five-course set feast with assorted grilled meats and seafood. The Loft and The Champagne Bar are where it’s at for panoramic 56th- and 57th-floor views accompanied by a bottle of Billecart-Salmon Champagne and half-dozen of oysters.